Bracelets have always been a warm weather accessories for me. I feel totally suffocated wearing bracelets with long sleeves and usually resort to earrings or necklaces for adorning my outfits. However if I do wear a bracelet, it's always a bangle. I love their clean lines and their ability to stack easily. I think they look especially chic worn a bit higher on the arm when wearing a dress or something sleeveless. How do you like to wear bracelets, layer em on, or pick one and keep it simple??? 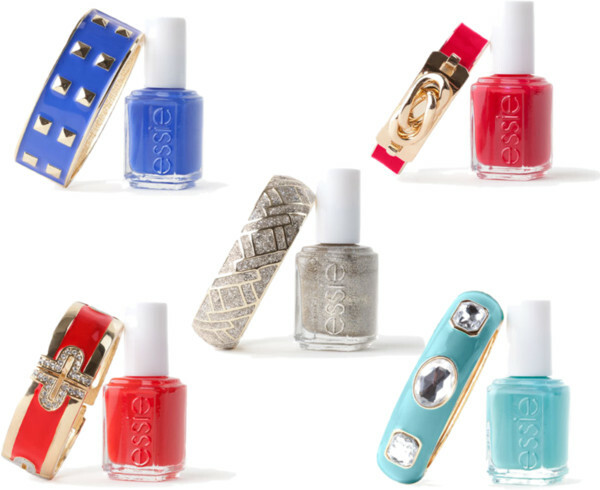 Oh & how adorbs is Bauble Bars Collaboration with Essie??? i just got my first nice bangle. i got the kate spade "this is the year" one. it's perfect. the kate spade bow bangle is next on my list! 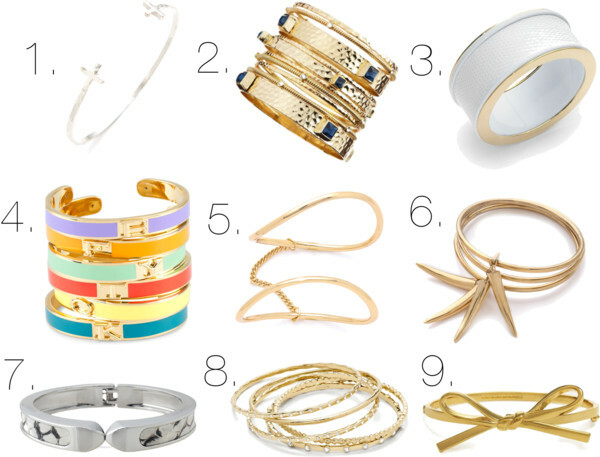 i may have to add the coach pave bangles and the c wonder initial bangles to my list as well. love them!